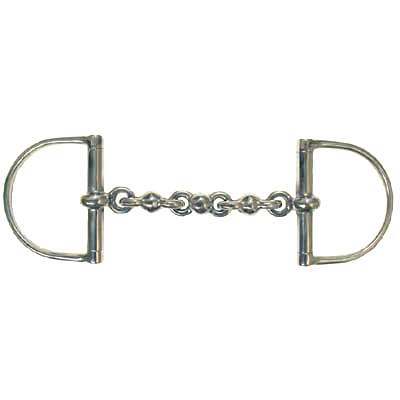 This specific Large Dee Ring Waterford Snaffle Bit happens to be one of our best sellers. It is not just made of impeccable craftsmanship but we also offer them at an affordable price to help you save. These Waterford Snaffle Bit measure 3.125'' x 2.25'' on the rings and 17.6mm in the mouth. Finding the perfect Waterford Dee Snaffle can be very hectic and time consuming. This is why we strive to offer only exceptional quality products that we believe are made of unsurpassable craftsmanship.